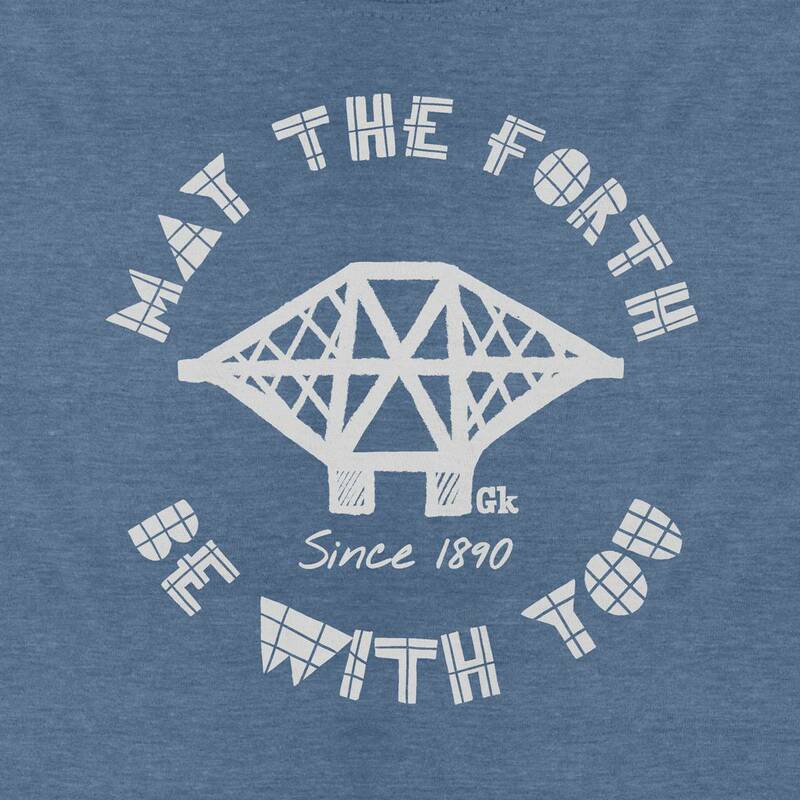 May the Forth be with you! 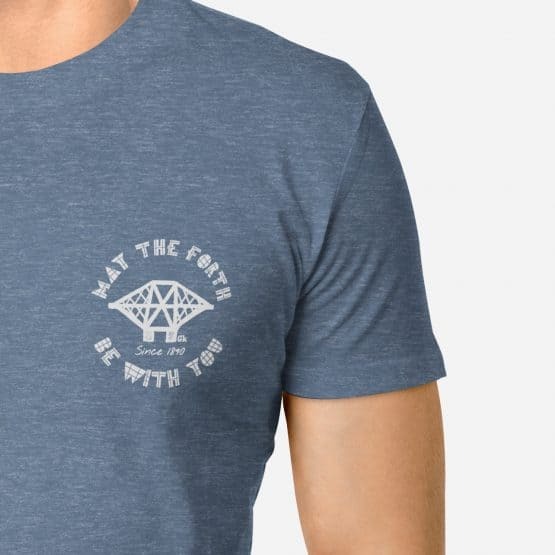 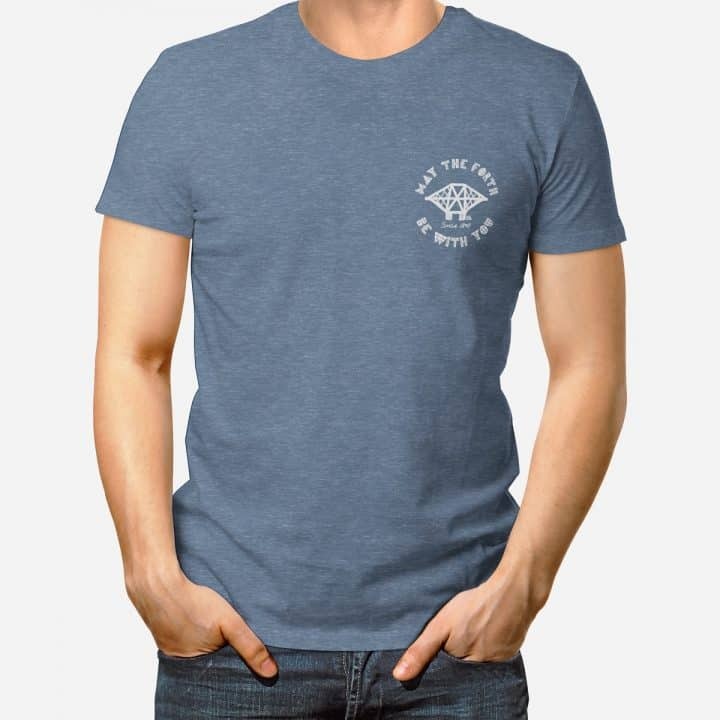 This fun t-shirt celebrates the excellence of Scottish Engineering, the mighty Forth Rail bridge – and Star Wars Day! 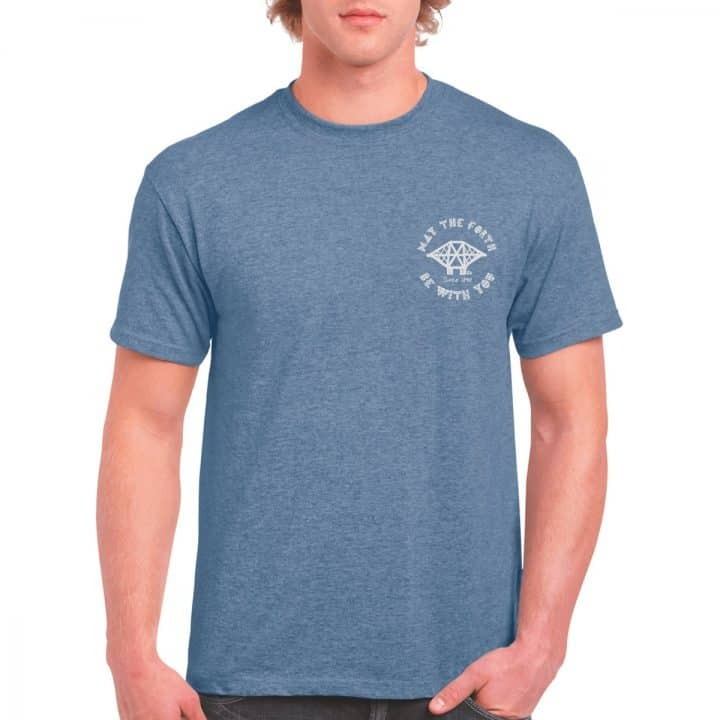 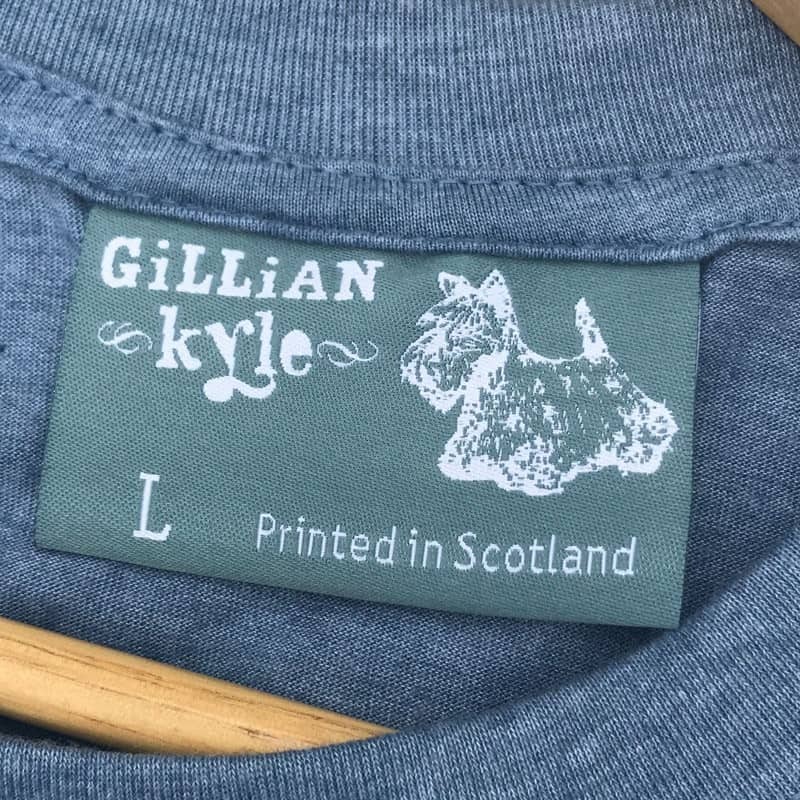 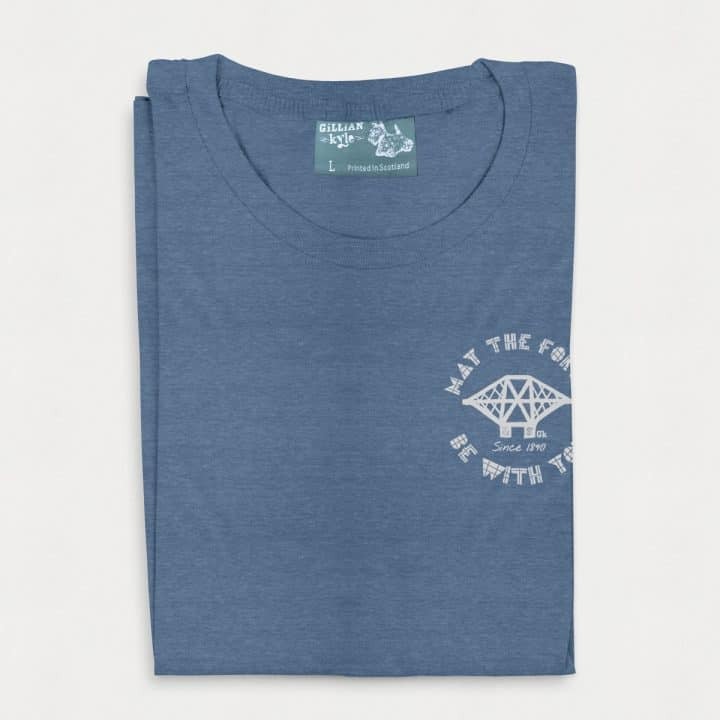 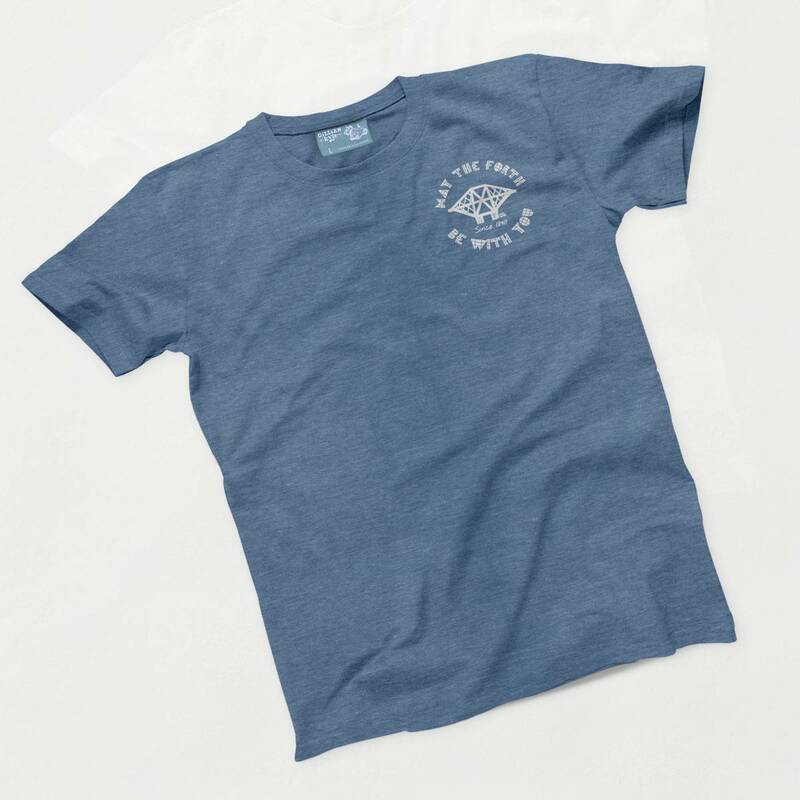 Heavyweight jersey t-shirt in 100% organic cotton; hand screen printed in Glasgow. 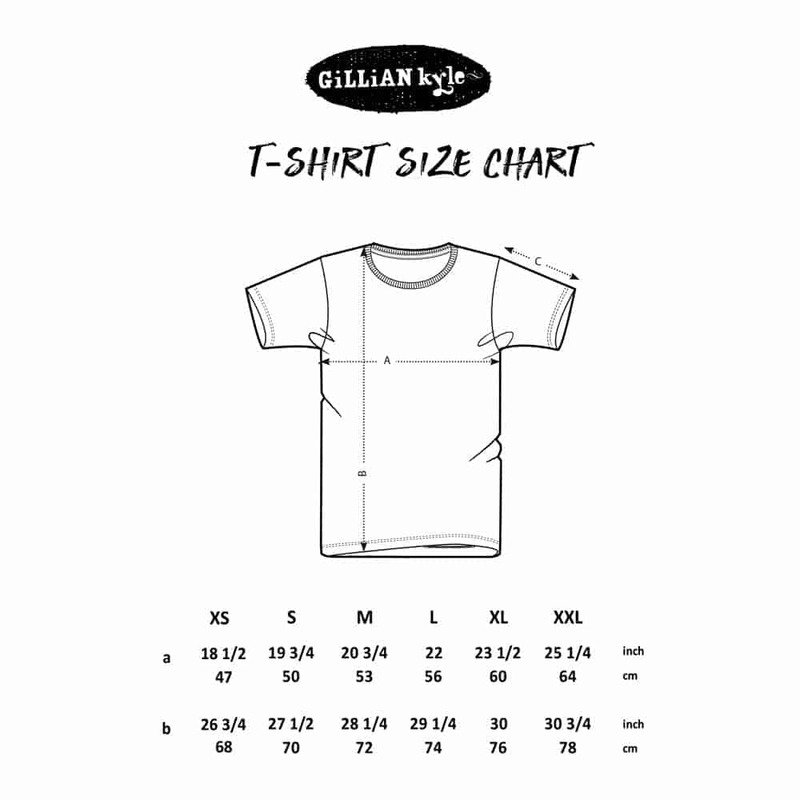 To select the perfect size please use the sizing chart in the main product description.